They made it. 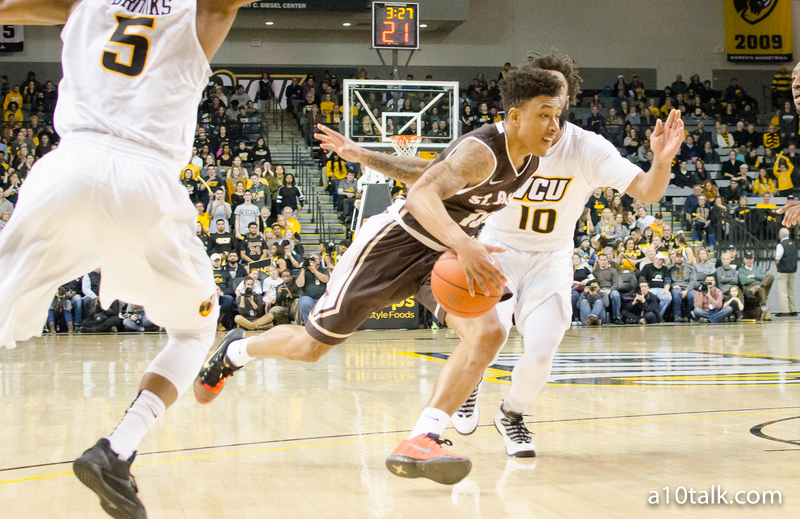 Make no mistake about it, in an increasingly difficult time for mid-majors, the Bonnies were chosen as an at-large bid into the NCAA Tournament. Although they didn’t move straight past the First Four into the second round, the Bonnies have a big opportunity Tuesday night to knock off the most storied basketball program in the country, UCLA. Don’t let the name scare you, the Bonas can win this thing. One great part about the A-10 is how we can heckle each other all year, but once we get to March, we represent one group. The A-10. I expect the Dayton fans, who will make up almost half the arena, to get #LOWD for the Bonnies. There’s also no reason to expect many UCLA fans to show up. Sure, they have a national fanbase, but what fan of an 11-time champ wants to come see a First Four game? And maybe most importantly, thanks to the generosity of the donors who paid for the transportation and tickets, the rowdy students that made their presence felt in Washington will get the chance to be even crazier in Dayton. They may be playing in Dayton, but it should feel alot like home. No one was more devastated after the snub in 2016 than Jaylen Adams. And perhaps, individually, no one has more to gain from a deep tournament run than Jaylen Adams. While I’m sure he’d trade every accolade he’s received for a few more wins in March, a deep run could seriously boost his NBA prospects, and silence the doubters that say he shouldn’t be compared to the elite guards in the Power 5. After the snub, Matt Mobley vowed things would be different when he got the chance to play for the Bonnies. They were. Mobley’s two years have been nothing short of exceptional, culminating in the A-10 quarterfinals, where he set the all-time Bonnies record for threes in a season. These guys achieved their goal. Now, they’re playing with house money. These stars will be firing from deep right from the tip. Overlooked because of all the three pointers they make, is the Bonnies three-point defense. Well, maybe don’t look to the Davidson game for evidence on this, but the Bonnies are one of the best teams in the nation at defending the three. At 29th in the country, the Bonnies allow other teams to connect on just over 32% of their threes. If the Bonnies can hold dead-eye shooters Aaron Holiday and Thomas Welsh to this percentage or lower, you have to like the their chances. UCLA has lost 3 of its past six. Meanwhile, the Bonnies have had the game seven mentality since they lost to Davidson back in January. While they may not have been officially elimination games, dropping any of those 13 games would have almost certainly kept the Bonnies out of the field. I expect this game to be close. Very Close. This is the NCAA Tournament after all, would you expect anything different? Luckily, the Bonnies have an .889 win percentage in close games this season, good for 8th in the country. Having played, and won in high pressure situations is a good indicator of team that will win in the tournament. I’m excited to see if the Bonnies can do it.